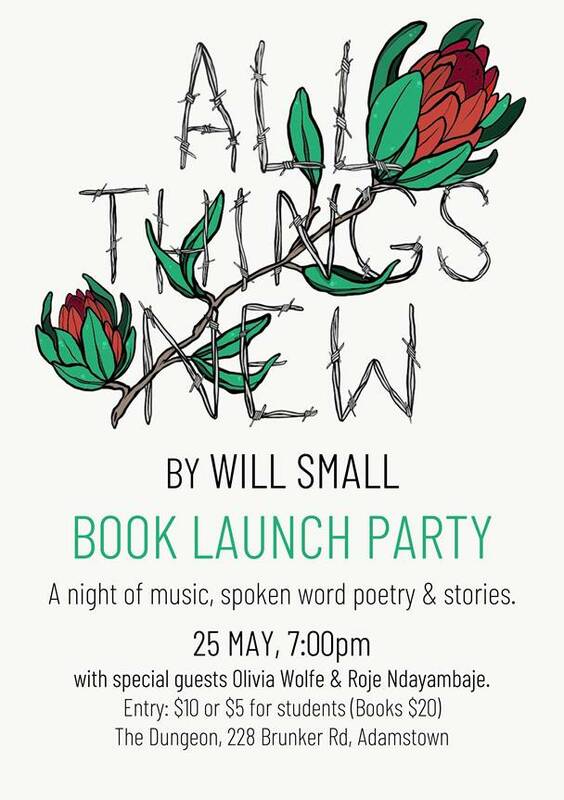 All Things New by Will Small – Book Launch party. A night of music, spoken word poetry and stories, with special guests Olivia Wolfe and Roje Ndayambaje. Will Small is a unique and sought after performance poet, writer and speaker. He has performed his work in schools, youth centres, prisons, bars, bookshops, backyards, churches, libraries, and other venues across Australia.